Join us for this FREE family Easter Event. 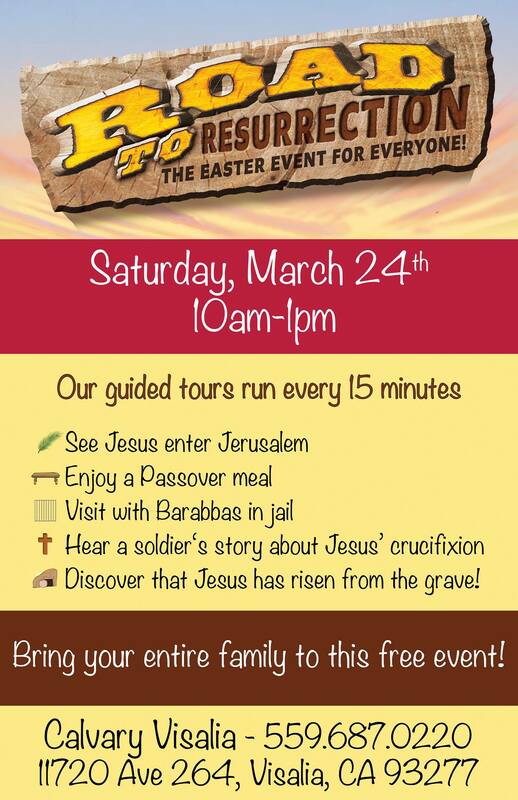 Take a guided tour into Jerusalem, wave palm leaves at Jesus, taste Passover foods, visit Barabbas in jail, hear a remorseful Soldier’s tale and then celebrate with Cleopas that Jesus is indeed alive!! Tours run every 15 minutes and takes approximately 1 hour for the journey. Calvary Visalia Youth Group will have a lunch available for donations for their Summer Camp fundraiser.